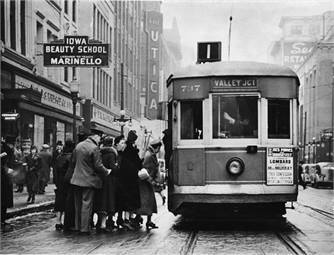 Streetcar systems in the U.S. were all but extinct by the 1950s due to the rise of cars and the nation’s highway system. Whether you call them streetcars, cable cars, trolleys or trams, those nostalgic, street-level transit lines not seen in many cities since the 1950s are making an unprecedented resurgence across the U.S. and around the world. And, whether you’re a transportation-industry insider or a commuter weary of crowded, chaotic highways, the rebirth can’t come soon enough. Streetcars (or trams, as they’re called outside of the U.S.) were a transportation staple in hundreds of cities in the late 19th and early 20th centuries. In the U.S., they were largely abandoned by the 1950s, as car and bus travel became more popular. Today, many cities are taking a second look at streetcars for many reasons, said Thomas J. Spearing III, president, project management group – Americas, at Hill International Inc. Spearing has been working in — and advocating for — the transportation industry for more than 25 years. Spearing added streetcars are a “greener” alternative to cars and buses. “As travel costs and the sheer number of vehicles on our roadways continue to rise, and as our simultaneous concern about our carbon footprint heightens, cities are looking for innovative ways to get commuters out of their vehicles,” he said. Susan E. Schruth, a Hill executive consultant, added that unprecedented numbers of younger commuters are making public transportation a lifestyle choice. While streetcar lines aren’t expected to completely replace buses and other faster, more widespread modes of transportation, they’re a perfect alternative for moving people efficiently in distinct areas of a city — whether those people are commuting, shopping or sightseeing. Streetcars add more capacity than buses and are, frankly, more attractive, Spearing said. “Streetcar lines in cities such as Portland, Ore., have been a tremendous boon to local business and tourism, providing transportation that is safe, accessible and affordable,” he explained. Portland, Ore.’s streetcar system has been highly popular and is credited with spurring $3.5 billion in residential and commercial development. Streetcar lines in New Orleans, San Francisco, Memphis, Philadelphia and other cities never completely went away, Schruth pointed out. They continued to function as reliable modes of transportation, even as similar lines in other cities were being ripped out and replaced by buses. But, over the last couple of decades, streetcars began getting a more widespread second look. Portland’s streetcar line, opened in 2001, has been highly popular and is credited with spurring an estimated $3.5 billion in residential and commercial development there. The line also has been held up as a standard for how viable such lines can be in other places. Over the past decade or so, new projects have been completed or put on the drawing board in such far-flung cities as Tucson, Ariz.; St. Paul, Minn.; Atlanta; Kansas City, Mo. and Cincinnati. U.S. streetcar lines are being financed by a combination of federal and local public funding, as well as funding from public-private partnerships and private consortiums. Spearing and Schruth are optimistic that federal support of these projects will continue pushing even more projects forward. While Europe never completely abandoned the tram, and successful lines have been chugging along there for decades, the mode is experiencing a resurgence of sorts as existing lines expand and new lines are planned to meet growing demand throughout the continent. Projects have recently opened or are underway in England, Scotland, Germany, Norway, Spain, Italy, Hungary and Turkey. One line in France, the Nantes-Chateaubriant Line, reopened last February after a 34-year dormancy. The Zaragoza Tram line in Zaragoza, Spain, recently completed the last leg of a tram line that was resurrected after more than 30 years. And Sheffield, in the northern U.K., recently unveiled a highly innovative “tram train,” which operates as both a tram on the industrial city’s streets and a commuter line that runs on existing light rail tracks. Emerging countries also are jumping on the tram platform, using these relatively inexpensive rail lines to move increasing numbers of city commuters efficiently. Tram lines are under construction in Latin America, in Ecuador and Colombia, and in Suzhou and Nanjing, China. India also is planning new or expanded tram lines as part of a sweeping plan for economic growth there. In the Middle East, governments already see the value of getting commuters out of their cars. Qatar and Dubai both are building tram and light rail lines, and more countries are expected to begin their own lines in the new few years, as unprecedented development lures more and more people to live and work there. “The transportation market is one of Hill’s fastest-growing markets throughout the world,” said Samer Tamimi, PE, a Hill VP with more than 30 years of construction industry experience in the U.S. and the Middle East. Tamimi heads the Middle and Far East’s rail and infrastructure sector, managing some of the region’s most groundbreaking transportation projects, including the Green Line of the Doha Metro; Al Ain City roadway projects and the Riyadh Metro, among others. “Cities like Dubai, which embraced the benefits of public transportation early on and developed a high capacity metro backbone system, are now seeing the benefits of using short, distinct tram lines to supplement the metro system and move people within urban areas,” Tamimi said. Streetcars often are more easily accepted by communities than high-speed or even light rail lines, Spearing added. “And, they can help open the door to later rail development,” he said. “Once people experience, firsthand, the benefits of this type of transit, they’re more likely to want more, so streetcars can be a great ‘emissary’ for other types of rail. While most streetcar systems in the U.S. disappeared, some such as in New Orleans, continued to function as a reliable mode of transportation. Spearing doesn’t think the streetcars trend will slow down anytime soon. “You’re seeing an unprecedented acceptance of them, which I expect will absolutely continue,” he said. Spearing knows, firsthand, the benefits of safe, reliable means of transportation. He grew up “almost literally underneath the Frankford Elevated,” SEPTA’s elevated rail line that connects northern Philadelphia with Center City, in a working-class neighborhood in the city’s Kensington section. Tricia McCunney is a technical writer at Hill International.